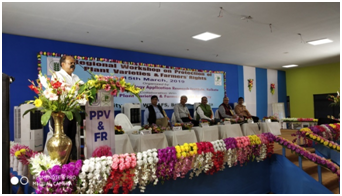 A Regional Workshop on Protection of Plant Varieties and Farmers’ Rights was organizedon 15.03.19 atWest Bengal University of Animal & Fishery Sciences, Belgachhia, KolkatabyICAR-Agricultural Technology Application Research Institute, Kolkata with the fund support of Protection of Plant Varieties and Farmers’ Rights Authority, New Delhi.More than 250 progressive farmers from Odisha andWest Bengal, PPV&FR officials, ICAR Scientists, University teachers, media personnel and others participated in this Regional Workshop.Inaugural session of thisRegional Workshop was chaired by Prof.Purnendu Biswas, Vice Chancellor, WBUA&FS, Kolkatain the presence ofDr. R.C. Agarwal, Registrar General, PPV&FRA, New Delhi; Dr. Randhir Singh, ADG(AE), ICAR, New Delhi; Dr. S.S. Singh, Director, ICAR-ATARI, Kolkata; Sh. R.S. Sengar, Deputy Registrar, PPV&FRA, New Delhi; Prof. P.K. Roul, Dean, OUAT, Prof. A. Goswami, DREF, WBUA&FS, Belgachhia; Dr. P.P. 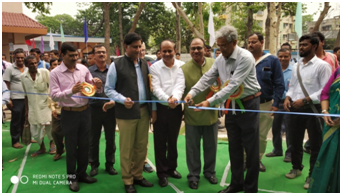 Pal, Dr. Avijit Haldar and Dr. F. H. Rahman, Principal Scientists, ICAR- ATARI, Kolkata. ICAR invocation song was played in the beginning followed by lighting of the lamps by the dignitaries.In his welcome address,Dr. P. P. Pal, Principal Scientist and Nodal Officer, ICAR- ATARI, Kolkataelaborated the basic purpose of the Regional Workshop and appealed to the farmers to preserve the indigenous plant varieties for future research endeavour.. Sh. R.S. Sengar, Deputy Registrar, PPV&FRA, New Delhi gave a brief account of PPV&FR activities where he stressed on the legal protection of farmers’ rights, multiplication of the farmers’ variety, prevention from misuse of farmers’ variety by any private company and other related areas. 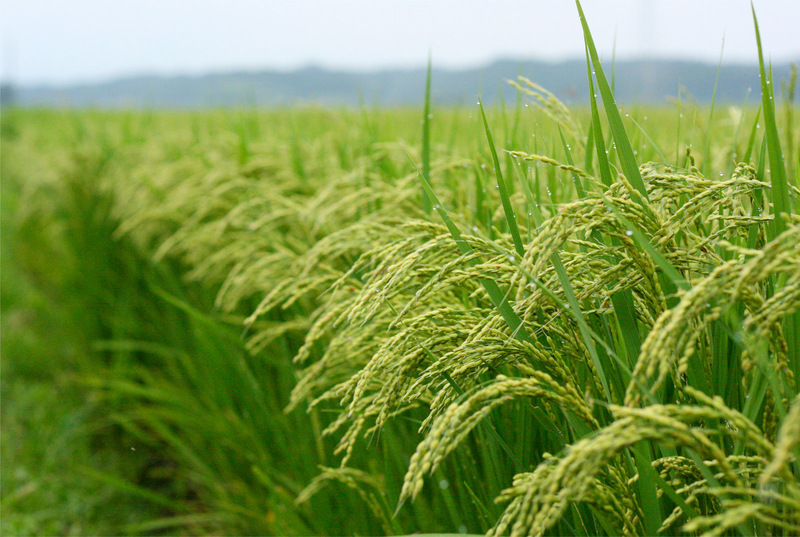 He also informed that Odisha was the leading state in registering the farmers’ variety in rice. Dr. S.S. Singh, Director, ICAR-ATARI, Kolkataelaborated howthe preservation of the indigenous farmers varieties has been carried forward in India from one generation to another. He cited many examples of losing the right of indigenous plant varieties and animal breed due to non-preservation and registration in time. He also highlightedthe association of ICAR-ATARI, Kolkata with PPV&FRA in creating large scale awareness among the farmers through almost all the KVKs of Bihar, Jharkhand and West Bengal since 2013-14. Dr. Randhir Singh, ADG (AE), ICAR, New Delhi enlightened the farmers about the importance of documentation of farmers’ varieties especially for endangered species by which the farmers get economical benefit and the seeds can also be used by other farmers. He also informed that 5000 varieties are registered through KVKs. Dr. R.C. Agarwal, Registrar General, PPV&FRA, New Delhi stated about the future road map of PPV&FR and gavedetailed procedure of registration of farmers’ varieties and importance of intellectual property right. He narrated in detail about the awards given by PPV&FRA to farmers’ and farmers’ community or club to encourage them towards conservation of indigenous varieties. The initiative taken by PPV&FRA to involve the State Agricultural Universities, State agriculture Department, elected body at Panchayet Level was also narrated by him for collection of native germplasm, certification and characterization at various levels before sending to PPV&FRA. Prof. Purnendu Biswas, Vice Chancellor, WBUA&FS, Belgachhiadelivered the presidential address. Inaugural session ended with vote of thanks proposed byDr. Avijit Haldar, Principal Scientist, ICAR-ATARI Kolkata. An exhibition of indigenous plant varieties and seed materials was also arranged on this occasion which was inaugurated by the dignitaries. The farmers from both the states brought more than 700 samples of seeds and plant materials of rice, oilseed, pulse, vegetables, cash-crop, millets and fruit crops. 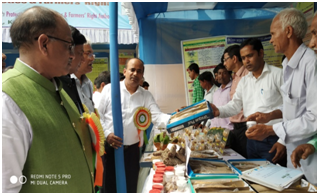 The progressive farmers displayed their exhibits in the stall and interacted with visitors, scientists, KVK personnel and fellow farmers. 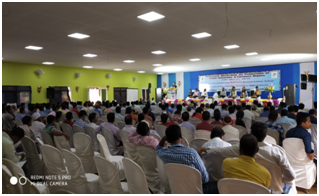 An interaction session was kept to facilitate the farmers to get clarification regarding registration of indigenous varieties, time lag between submission of registration form and receipt of certificate from the PPV&FR personnel as well as other dignitaries. Three technical sessions were also organized for the benefit of the farmers in the post lunch period. Prof. P.K. Roul, Dean, OUAT presented in brief about Protection of Plant Varieties & Farmers’ Rights in perspective of Odisha. Dr. Bidhan Roy, Associate Professor, UBKV, Coochbehar highlighted the issues of breeders’ right, researchers’ right and farmers’ right. Dr. P.K. Bhattacharyya, Associate Professor, BCKV, Nadia elaborated the Act in detail, procedure of registration and implementation.